1 Do You Want to Build a Bookshelf For Your Books or DIY Project? Do You Want to Build a Bookshelf For Your Books or DIY Project? As a woodworker, you want to build various DIY projects of your own. It gives you pleasure when you build a project which is beneficial to you. You are a book reader and you have lots of books available in your house. You don’t have any bookcase or bookshelf to store and display the books. As you are a wood-worker you can build your bookshelf by yourself. In this article, you will come to learn how to build a bookshelf. A bookshelf is very much needed for the book owners who have lots of books. Again you can build a bookshelf for sale purpose. How to build a bookcase for beginners’ lessons will help you to build it if you are a beginner. In this article, I am going to describe the steps of how to build a bookshelf in Minecraft. Hope you will find it beneficial. Before starting work you have to plan your work. First, you have to think that where do you want to place the bookshelf? What the design will be. You have to measure the height and width of your wall and also fix the shelf’s width and length. You have to take a decision whether your bookshelf will remain closed or opened. If you want to make it closed so that the books may not fall down from the shelf, you can set your shelf attached to the wall. Next, you have to choose the wood for building a bookshelf. A good quality wood will give you best quality shelf. A wood determines the finished project’s beautifulness. You can also use plywood for keeping the back of the shelf closed. You can choose Maple or birch wood for building a bookshelf. Now you have to use your saw machine to cut the wood into suitable sizes. You can use circular and table saw for cutting the wood pieces. First of all, you can cut the bookshelf sides. Before cutting this you have to take a measured length which will be suitable for you. Two sides should be the same in size. 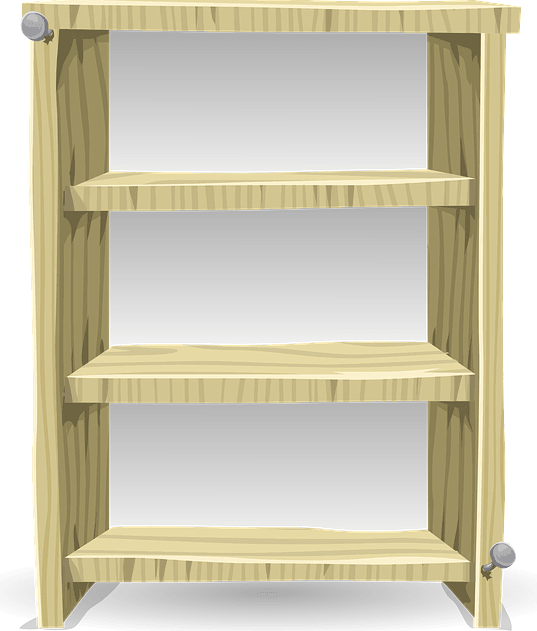 Secondly, you can cut the bottom and shelves of your bookshelf. Third, you can cut rabbet joints. It is done for groove cut. Finally, you have to drill the wood pieces for getting attached with one another. For joining the shelves with the side parts you can use the screw and an L shaped steel plate. Drill the steel plate too. After that, you can place the screw. For joining the top you can drill or just use the wood glue. In this step, you are going to place the cut parts for building a bookshelf. At first, you have to attach the top wood to the sides of your bookshelf. You can use wood glue or screw for joining this. You can use support blocks for getting more stability. These support blocks can be made of steel material. Then you have to put the shelves in the right places. You can attach them with the screw which is of 2 inches long. At last, you can attach the back part with the shelves for a closet shelf. After all these processes you can place trim or molding on your project which can give your project a nice outlook. First of all, you should sand the shelf with a sander machine. So that the extra wood pieces that make the project ugly can be removed easily. So, here a sander machine will help you to polish the wood surface. A well-sanded project looks much better. Your audiences will be attracted more if your project is well sanded. Next, you can paint the DIY project for presenting it in a colorful way. Again the joint will not be seen for paint coating. That is why your shelf will get the more beautiful look. You can also paint your shelf according to your book’s category. As you are working with sharp and noisy tools you have to be concern about your maximum safety. Safety issue should be given the first priority as a wood-worker. Table saw and circular saw have a sharp blade which can cause a sudden accident. You should always be careful about this. Again drill machine, router machine have great circular motion. The machines also create noise which is very harmful to our ears. So you can use an earplug. For keeping your eyes safe from wood sand and dust you can use eyeglasses. As a woodworker, it is important to know how to build a bookshelf along with how to remain safe while working. Never do anything without suitable protection. If you are an expert with wood-working and thinking less about safety then you are wrong with your decision. You have to be more careful while working whether you are an expert or a beginner. Hope that you have got an idea how to build a bookcase wall unit or how to build an open unit bookcase. In this article, I tried to describe the steps by which you can start building a bookshelf on your own. As I mentioned earlier that safety should give the first priority always. After that, you can start. A bookshelf is very much needed DIY project for the book lover. You can sell your project and earn money. Again you can build a bookshelf for your own and place the books with your choice. If you know how to build a bookshelf wall then you can build an open shelf also. It is a very easy wood DIY project. As a beginner, you can start building this project in your workshop.